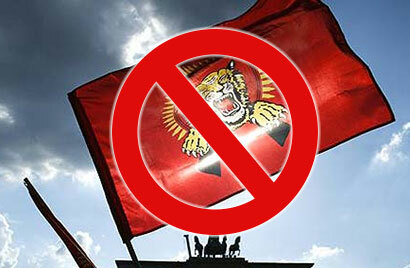 Why have 32 countries banned the LTTE and continue to do so even after its demise in 2009? Obviously its intelligence feels there is sufficient threat to maintain the ban overseas. A ban becomes meaningful only if these countries enforce local laws to ensure fundraising for terror does not take place on their soil. A ban becomes meaningless when countries close their eyes to not only fund raising but allows LTTE operatives to live in these countries and hobnob with them as well. All 32 nations are quite aware of the LTTE fronts operating on their soil including Australia which has yet to ban the LTTE. A handful of arrests without the same vigor applied to combing Al Qaeda terrorism is what we expect for all defined terrorists. Let us also remind that unlike Al Qaeda, LTTE ran its own airforce and navy and has an internationally connected network of criminal activity involving human smuggling, narcotics, illegal arms smuggling to name but a few. It is on Australia’s turf that LTTE’s foreign force is now stepping up its campaign. Regular strategy meetings are taking place – Australia and the rest of the world now need to wonder for what this fundraising is for. Sri Lanka’s efforts to rebuild all that LTTE terrorists ruined will lead nowhere UNLESS the foreign nations harboring LTTE terrorists, fund raisers and LTTE brains are arrested, investigated and charged. Sri Lanka’s national plan must be complimented by foreign nations who now need to get hold of the tiger’s tail – Australia can start the ball rolling. The arrival of Tony Abbot in Sri Lanka to attend the Commonwealth of Heads Meeting was certainly a refreshing diplomatic change to the rowdy behavior of the UK Premier, foolish to think that we were not aware that he arrived in Colombo after meeting with LTTE’s UK campaigners and securing some plum deals for the Conservative election campaign – and that was what attributed to Cameron’s knee jerk behavior in Colombo. Abbot’s in contrast was certainly different though we need to add that the 3 peripheral influencers used to shift strategic balance in favor of the West by the West are the troika of Australia-India and Japan. Yet, we are thankful to the gift of ships to counter human smuggling a joint effort of Sri Lanka and Australia. Obviously, Australians are not too gaga over scores of illegal immigrants landing in Australia claiming asylum and thousands of its tax payers money going towards screening them and looking after them. Australians are getting increasingly annoyed by bogus illegal economic migrants coming to Australia’s shores. Of course Australians need to at least now ask themselves a simple question. When Tamil Nadu politicians have no sleep because of their concern for the Sri Lankan Tamils, why would Sri Lanka’s Tamils attempt to get on to boats that take thousands of miles amidst dangers to travel to Western shores when they can easily travel to Tamil Nadu? UK, Canada, Australia and EU countries need to seriously ask these Tamils this specific question when screening them. It will answer why people are beginning to realize that there are no asylum seekers but economic migrants. There are units to coach people on what to say to overseas immigration officials. The next question is the living standards of the Sri Lankan’s in the North – most foreign writers seem to have ignored to ask what LTTE did with the USD300million annual profits (Jane’s Intelligence) apart from buying arms and ammunition if it was the welfare of the Tamils in Sri Lanka that inspired their existence? Moreover with nothing actually done for Tamils by any of the money collected in just 4 years the Sri Lankan Government has transformed the North to everyone’s amazement with USD3bilion. Yet, the question is for what reason are these LTTE fronts continuing to collect from Tamils in Sri Lanka, Tamil Diaspora and increasing their other illicit activities operating from overseas? This sudden increase in fund raising is what should alert Sri Lankan officials and politicians as well as foreign nations that have banned the LTTE as well as countries like Australia that have not banned LTTE. If Britains’ parliamentarians should be more bothered about British natives been victims of credit card scams and other illegal activities that include narcotics, human smuggling etc so should Australian parliamentarians above any need to speak on behalf of people who are not their citizens. The media in Sri Lanka was abuzz declaring that Australia had banned the LTTE. It is far from the truth. As of 29th November 2013, the LTTE remains very much UNPROSCRIBED in Australia and LTTE was NEVER PROSCRIBED by any Australian Government to date. We need to clarify the position. While Australia has NOT under its own criminal code listed the LTTE as a terrorist organization its Attorney-General’s Dept’s National Security and Law and Order Division is using the United Nations Security Council Resolution 1373 of 28 September 2001 which is associated with an asset freeze on financing terrorism. The LTTE was listed as a terrorist organization not by the Australian Attorney General but the Foreign Minster Downer in 2001. The UN has not listed LTTE as a terrorist but does call for a freeze on assets. Downer used the UN resolution to have LTTE assets frozen an offence with 5 years of imprisonment. In 2007 Australia used the Commonwealth Criminal Code to charge 3 prominent members of the Australian Tamil community with serious offences including being members of LTTE. Australia while not specifically banning the LTTE as it has with numerous Islamic organizations uses the provisions of its terror laws upon LTTE and associated entities inside Australia. Yet, if Australia can ban the Al Qaeda why cant Australia ban LTTE too? We need to add that Don Randall, the Liberal Party MP for Canning and the Chairman of the Australia-Sri Lanka Friendship Group in parliament in 2006 sought to proscribe the LTTE. A report in 2009 by ABC claimed that the Australian Government backed away from plans to declare LTTE as a terrorist organization – why? who influenced Australia not to? We know that under the Howard Government then Foreign Minister Alexander Downer wanted LTTE banned, that plan didn’t work out because of the Tamil community in Victoria. Even the Rudd Government had made similar proscription plans. They had even prepared a media campaign to put the States’ counter terrorism officials on notice to explain to the Tamil community. Some states and territories agreed the plan did not materialize. Then there are others like Bruce Haigh, a one time Australian Deputy High Commissioner in Sri Lanka in 1994 who is now the patron of the Centre for Peace and Conflict Studies which has as members Brahmi Jegan alias Dr. Sam Pari a member of the LTTE. Haigh is a huge supporter of LTTE. It is in not taking a stand on the LTTE that its fronts are able to promote itself as legitimate. The Human Right Law Center that scheduled a debate in March 2013 on Sri Lanka’s Human Rights had lied claiming that the Sri Lankan High commissioner did not attend though invited when the High Commissioner had written to state that the panelist Dr. Sam Pari was an LTTE supporter. The moderator Mark Davies chose to conveniently ignore her LTTE connections when introducing Dr. Pari. The Sri Lankan audience did a marvelous job of putting into place the lies dished out by Bruce Haig, Frances Harrison, Gordon Weiss and Sam Pari and thankfully the Australian audience who were present began to realize the lies taking place. With India having numerous incidents of LTTE activities inside India, given that LTTE works on contracts there is no assurance of how LTTE will be steered – LTTE did carry out a contract killing on the former Indian Prime Minister. Those pulling the LTTE strings now without a figurehead leader would no doubt maneuver itself now that it has placed various LTTE supporters in key foreign positions while putting into their purses foreign parliamentarians who would do as they bid – all this translated means that foreign parliamentarians are dancing to the tunes of groups and lobbies auctioning themselves to the highest bidders. This can only spell doom for natives of the respective countries as ordinary Australians are now discovering having realized the asylum seekers are not as honest as they proclaim to be. In the UK too there is much uproar over immigration and the flood of immigrants who have been brought into the country through various dubious systems parliamentarians have devised. Now the question is who will bell the cat when all the cats are working for others!!! This is a big question that the people of US, Canada, UK, EU nations and Australia need to ask themselves – are their representatives working in the interest of their country, their countrymen or people who have no relevance to them. 2012 – Oct 28: Australian report reveals former LTTE combatants are being funded to migrate to Australia as asylum seekers by former LTTE groups already migrated to Australia. Report reveals 6 former LTTE combatants posed as asylum seekers while 6 others were apprehended as smugglers. 2010 – Jul14: Half of Sri Lankan asylum seekers to Australia suspected of being LTTE fighters or supporters of LTTE. LTTE supporters and members attempt to flee to Australia because Australia has not banned LTTE. 2010 – Mar: 3 Tamil Australians in Melbourne pleaded guilty to sending more than AUD1million and AUD97,000 electronic components for bomb detonators to LTTE. 2010 – Feb 2: Australian court case against Aruran vinayagamoorthy, Sivrajah Yathavan, Arumugam Rajeevan collected more than AUD1million for LTTE. They pleaded guilty to giving money to LTTE between 2004 – 2007. Vinayagamoorthy pleaded guilty to providing radio transmitters. 2009 – Dec 21: 3 Australian Tamils pleads guilty to providing money to LTTE – Aruran Vinayagamoorthy, Sivarajah Yathavan, Arumugam Rajeevan. Vinayagamoorthy pleads guilty to providing radio transmitters to LTTE too. The 3 were arrested in a raid in May 2007. 2008 – Jul 15: Australian Federal Police arrest at request of US FBI Thulasiharan Santhirarajaha, a director of Melbourne International College to be extradited to US to face terrorism offences in US. 2007 – Oct 9: Victorian Government in Australia has given $2000 in 2 separate grants to a LTTE front – Eelam Tamil Association of Victoria. 2007 – Sept 13: Aruran Vinayagamoorthy, Sivarajah Yathavan, and Arumugam Rajeevan charged for using Tamil Coordinating Committee (TCC) in Australia to raise funds for LTTE. $1.9million had been deposited to a TCC account in 2001 and 2005 and $1.2m withdrawn in cash and used to purchase electronic equipment for the LTTE. Money had been collected under guise of donations for charitable projects including money raised for 2004 tsunami. 2007 – Aug 22: Tamil broadcasters in Australia glorify LTTE leader and raise funds and cannot be monitored because it is in Tamil. Broadcasters also hint threats to those who do not toe LTTE line. Leading Tamil radio stations are 3ZZZ in Melbourne. Inpath Tamil Vanoli, 24-Hours radio in Sydney, Australian Tamil Broadcasting in Sydney and 3CR in Melbourne. 2007 – Jul 10: LTTE member Arumugam Rajeevan, aged 41arrested in Sydney for supporting a terrorist outfit. 2007 – May 31: LTTE to be listed as a terrorist organization in Australia. 2007 – May 1: Australian police arrest Aruran Vinayagamoorthy (who had access to $5, 26,000 in two bank accounts between August 2001 and December 2005) and Sivarajah Yathavan, after raids in Sydney and Melbourne on the charges of providing material support and funneling money collected from donors in the garb of a Tsunami charity to the outfit. 2006 – Nov 1: Yathavan family involved in LTTE operations in Victoria, Australia – Sivarajah, wife Abirami and P. Senthuran, father-in-law. It would be a most appropriate diplomatic gesture for Australia to ban the LTTE and start the ball rolling on gathering the LTTE fronts and their operatives together for with no terrorism prevalent in Sri Lanka it is an open question what they are proposing to do with the money they are now collecting. Moreover, what countries including Australia need to be concerned about is that the money being collected is by swindling their own natives and it is this stolen money that is bribing their own politicians. Shenali, with all those detail occurences in Australia, why not submit those to Australian authorities. Then at least they are bound to proceed the matter further. Few weeks ago, I pointed out to Australian authorities that LTTE should be proscibed as TERROR ORGANIZATION in Australia as it is done in the USA, UK & 32 other EU countries. There must be some who still feel comfortable with MONEY REACHING THEIR pockets & that lucrative inflow might stop if Australia bans LTTE outright. This is imperative to get it banned, the way LTTE & their supporters have infiltrated Canadian agencies, where many people use thinking their PRIVATE information is sakfe, BUT being used by LTTE operatives. I still cannot get the names of people who attend to MY EMAIL system at Yahoo. Facebook many years ago had a Tamil woman USING WORSE language to QUIETEN ME. So I left Facebook. That is how LTTE & synpathizers have INILTRTATED social NETWORKS. I sincerely hope you will contune with this crusade till ONE DAY AUSTRALIAN Govt. bans this vicious & ruthless CORRUPT organization.